For most consumers in California, their vehicle is one of their largest monetary investments and source of reoccurring monthly payments. Protecting equity in that investment is why the California lemon law was enacted in the first place. 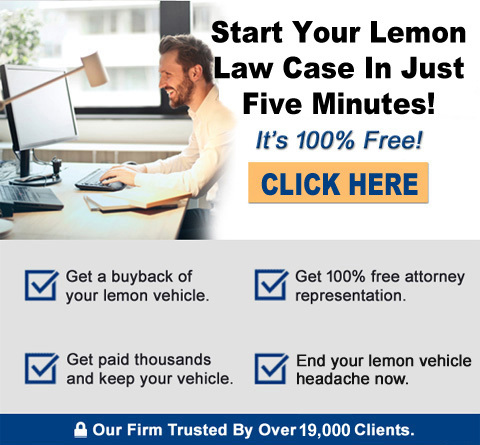 Your vehicle is an asset, so investing your time is vitally important is building a lemon law case. To turn frustration into “time well spent”, take the frustration and put it to use. If you think your vehicle is, or may turn out to be a “lemon”, start with the basics: paperwork. Find and organize all of your original sale/lease documents, licensing/registration documents, monthly payment statement(s), and your repair order documents. Take photocopies of originals and set them all in a chronological order from the day you took delivery of your vehicle until now. You will note that warranty repairs at car dealerships are broken down into two documents per visit. First, the “work order” — this is the document you sign that has your stated complaint. Second, the “invoice” — this is the document you receive when your vehicle repair is completed and the vehicle is returned to you. The “invoice” has “date in/date out” information as well as “miles in/miles out.” The invoice also notes what the dealer did in an attempt to diagnose and repair your vehicle for each of your complaints. You may find that you are missing certain invoices, as they may have been lost or the dealer simply didn’t give you one. If this is the case, visit your Service Advisor or Service Manager and request copies. Some dealerships’ computers “purge” repair documents every 30 days. If this is the case, then simply ask your Advisor or Manager to provide you with a “warranty repair history” printout from their dealer-to-manufacturer linked computer. All dealers have this, and the printout will show every warranty claim submitted by any dealer in the United States to the manufacturer of your vehicle. Have your license/registration with you, as they will need verification of ownership before giving out this information. Remember, the selling or servicing automobile dealer is not responsible to repurchase or replace your car under the California lemon law, the automobile manufacturer is. The automobile manufacturers are very experienced in dealing with California lemon law consumer enquiries and, as you can imagine, are not in the business to buy back or replace vehicles every time a customer says “my vehicle is a lemon”, or “I want you take this car back”. The automobile manufacturers, through their authorized dealers, are responsible under their limited warranty only to correct the warranty non-conformity (defect) so that the vehicle conforms to its warranty’s provisions. The time you spend is time well spent. After all, you are protecting yourself, and ensuring that you ultimately have a dependable vehicle for transportation, and your entitlement under the lemon law.